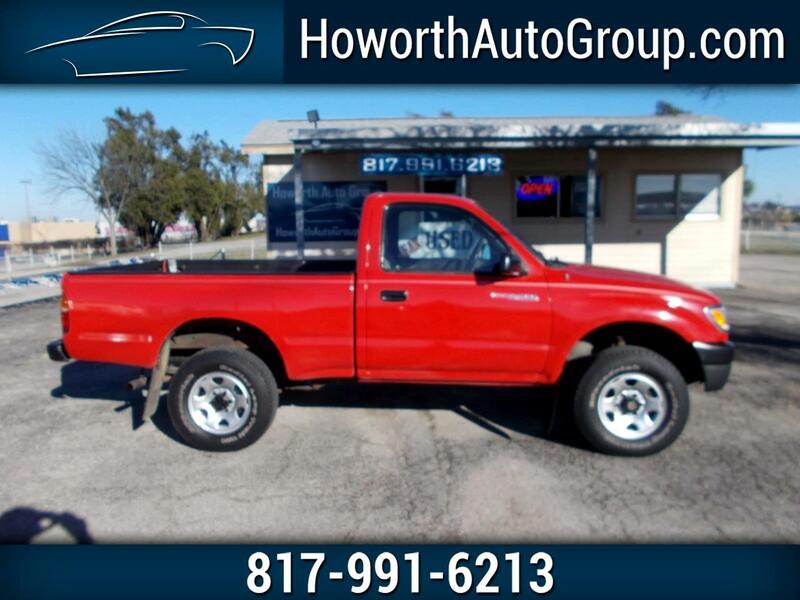 1996 TOYOTA TACOMA SINGLE CAB 4X4 with ONLY 134,032 miles. IF YOU HAVE BEEN LOOKING FOR ONE OF THESE TACOMA'S YOU KNOW THEY ARE HARD TO FIND AND ARE ONLY INCREASING IN VALUE!! THIS TACOMA IS A CAFAX ONE-OWNER TEXAS TRUCK AND PRESENTS AS SUCH!!! This TOYOTA TACOMA is equipped with a powerful 4 cylinder engine and 5-speed transmission that works well together, cold a/c, warm heat, power steering, power brakes, tan cloth interior, AM/FM radio, GOOD tires and much more. THIS TOYOTA TACOMA WORKS VERY WELL. CALL QUICK BEFORE IT IS GONE!!!!! Call Amy Howorth at 817-991-6213 or go online at howorthautogroup.com to apply online today.